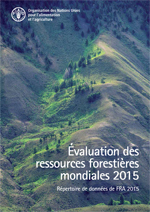 The 2015 Global Forest Resources Assessment (FRA2015) continues the tradition of seeking to describe the world’s forests – a tradition that began in 1948. Countries representing some 75% of the world’s forest area contributed to constructing FRA 2015 content. FRA 2015 seeks to continue finding ways to improve the quality, relevance and accessibility of data and analysis. FRA 2020 is actually being analyzed and written. 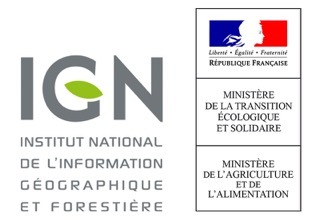 The NGI is the coordinator for France to deliver information about the French forest resources. The French NGI is also gathering information on indicators for sustainable management of the European forests. 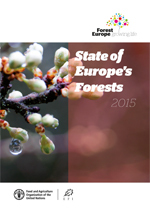 These data are key elements for public decision about the protection of the European forests. This process is called "Forest Europe" since 2007. National Forest Inventories (NFIs) in Europe have different historic origins. They were established with the primary aim to cover the information needs at country level. Therefore NFI methods reflect the country-specific conditions in terms of forest types, topographies, climates and interests in forests. The cross-border comparability of their results is therefore not met from the outset. Numerous international programs and target groups from the environmental, wood processing, and energy sectors require such comparable information from NFIs as reliable basis in decision-making processes. Due to these information needs a harmonisation process was initiated at the beginning of the century. The harmonisation of European NFIs maintains the framework of existing NFI methods and achieves comparability through the development and application of harmonisation procedures for NFI target variables. The harmonisation process of European NFIs consequently allows to satisfy the various information needs at the international-, country- and sub-country levels. It provides the opportunity to respond to future developments as the demand for forest information is still diversifying. The basic prerequiste for the harmonisation process is the common agreement on Reference Definitions. Furthermore, the French NFI is working with different countries such as Morocco, Romania, Sweden, Switzerland, Austria and Czech Republic in order to get information about inventory methodologies and technics, as well as data management and results publication. Alberdi, I., Michalak, R., Fischer, C., Gasparini, P., Brändli, U., Tomter, S.S., Kuliesis, A., Snorrason, A., Redmond, J., Hernández, L., Lanz, A., Vidondo, B., Stoyanov, N., Stoyanova, M., Vestman, M., Barreiro, S., Marin, G., Cañellas I. & Vidal C. (2016), Forest Policy and Economics, 70: 20-29. Leban, J.M. & Bontemps, JD. (2016), Annals of Forest Science (2016) 73: 789-792. Gschwantner T., Lanz A., Vidal C., Bosela M., Cosmo L. Di, Fridman J., Gasparini P., Kuliešis A., Tomter S. & Schadauer K. (2016), Annals of Forest Science (2016) 73: 807-821. Vidal C., Alberdi I., Hernández, L. & Redmond J. (Eds.) (2016), Springer International Publishing, Switzerland 2016. Vidal C., Alberdi I., Redmond J., Vestman M., Lanz A. & Schadauer K. (2016), Annals of Forest Science (2016) 73: 793-806. Packalen, T., Sallnäs, O., Sirkia, S., Korhonen, K., Salminen, O., Vidal, C., Robert, N., Colin, A., Belouard, T., Schadauer, K., Berger, A., Rego, F., Louro, G., Camia, A., Räty, M. & San-Miguel-Ayanz, J. (2014), Publications Office of the European Union, EUR 27004 doi 10.2788/153990 . L’IF n°32, Towards harmonized European forest information, IGN september 2013, 12 p.
Chirici, G., McRoberts, R.E., Winter, S., Bertini, R., Brändli, U., Alberdi, I., Bastrup-Birk, A., Rondeux, J., Barsoum, N. & Marchetti, M. (2012), Forest Science, 58(3), 257-268. Dunger, K., Petersson, S. H. O., Barreiro, S., Cienciala, E., Colin, A., Hylen, G., Kusar, G., Oehmichen, K., Tomppo, E., Tuomainen, T. & Ståhl, G. (2012), Forest Science, 58(3), 248-256. An Enquiry on Forest Areas Reported to the Global Forest Resources Assessment—Is Harmonization Needed? Gabler, K., Schadauer, K., Tomppo, E., Vidal, C., Bonhomme, C., McRoberts, R. E. & Gschwantner, T. (2012), Forest Science, 58(3), 201-213. Ståhl, G., Cienciala, E., Chirici, G., Lanz, A., Vidal, C., Winter, S., McRoberts, R.E., Rondeux, J., Schadauer, K. & Tomppo, E. (2012), Forest Science, 58(3), 214-223. L’IF n°22, Harmonisation des données forestières européennes, IGN 2e trimestre 2009, 8 p.
McRoberts, R.E., Tomppo, E., Schadauer, K., Vidal, C., Ståhl, G., Chirici, G., Lanz, A., Cienciala, E., Winter, S. & Smith, W.B (2009), Journal of Forestry, 107(4), 179-187. Gschwantner, T., Schadauer, K., Vidal, C., Lanz, A., Tomppo, E., Di Cosmo, L., Robert, N., Englert Duursma, D. & Lawrence, M. (2009), Silva Fennica 43(2): 303-321. Cienciala, E., Tomppo, E., Snorrason, A., Broadmeadow, M., Colin, A., Dunger, K., Exnerova, Z., Lasserre, B., Petersson, H., Priwitzer, T., Sanchez P. & Ståhl, G. (2008), Silva fennica. 42(:1), 73-88. Vidal, C., Lanz, A., Tomppo, E., Schadauer, K., Gschwantner, T., Di Cosmo, L. & Robert, N. (2008), Silva Fennica 42(2): 247–266.